The left-wing Government of Andalusia plans to expropriate homes from banks and lend them to families at risk of foreclosure. The Autonomous Government of Andalusia, or Junta, has introduced a decree to dragoon banks and developers into renting out their empty housing stocks under the threat of fines of €9,000 for empty homes that are fit to live in. In the same decree, the Junta prepares the ground for temporarily expropriating homes being repossessed by banks, and lending them to needy families for three years. 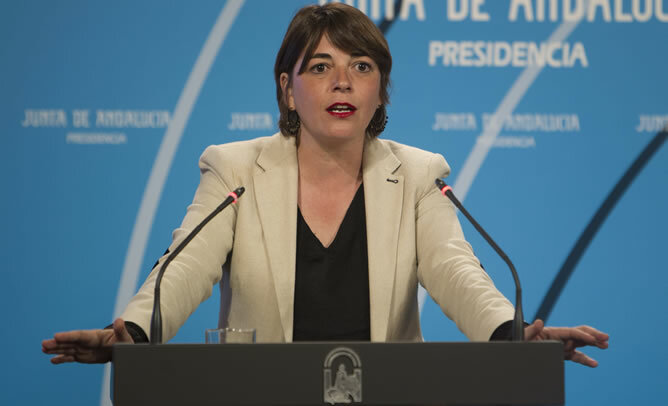 Elena Cortés, the Junta’s hard-left commissioner responsible for public works and housing (pictured above), claimed the measures, aimed at “meeting social needs”, are back by existing legislation. The Junta says that the new decree with not affect empty homes belonging to private individuals, nor second homes, tourist accommodation, or property rented out on a temporary basis. Noble as the goal may be, this is, of course, a futile gesture that will not solve the housing problem. It will, however, make investors nervous, and ensure that mortgage financing is less available and more expensive in future. Unfortunately, the international investors we depend upon don’t tend to distinguish between Andalusia and the rest of Spain. They will see this as just another crackpot idea from the Spanish Government. The whole country will share the bill. Yet another lunatic idea from an administrator in Spain shooting themselves in the foot! Are these the same people who were guilty of overseeing the fraudulent development scandals that has brought Spain to its present financial knees? An example of how not to attract foreign investment. Dumb move.